When the heat of summer is bearing down on you and your family, the last thing you want is to look for relief in your home and realise your air conditioning unit isn’t working. An air conditioner can break down for a variety of reasons, most of which can be prevented through regular air conditioning maintenance inspections by a professional HVAC technician. At Apex Air Conditioning, we have the knowledge and experience necessary to ensure your air conditioner is running properly and efficiently so you can rely on it when you need it most. 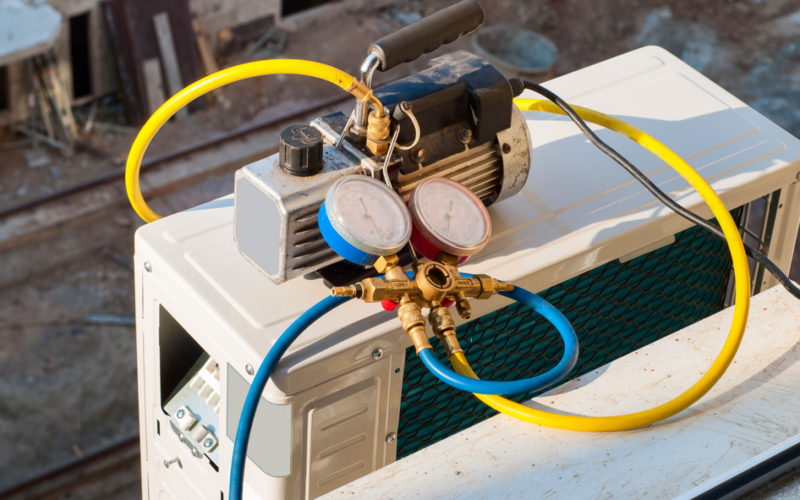 When it comes to servicing your air conditioning unit properly, the best way to ensure its working as it should is to call a professional HVAC technician. Whether you have a brand-new air conditioner or a tried-and-true unit that has been reliable for many years, this is something that should definitely be on your spring to-do list. Unfortunately a lot of people wait until their unit breaks down and it tends to be with over use in the hot summer weather, meaning it is a very busy time for us! A simple service before the demanding season could mean avoiding being without your air con unit and a busy time to book a service. There are a few small things that every homeowner can do to prepare their air conditioners in the spring prior to a professional inspection. Trim back any bushes, shrubs, trees, vines or other vegetation around your air conditioner. A clear area around your air conditioning unit ensures that it’s able to properly and efficiently take in cool air and expel warm air. Clean the external coil and fins of your air conditioner. It’s important to remove all debris from these components but also to be gentle in the process to avoid damaging them. Properly cleaning your air conditioner’s components will assist in maintaining its efficiency. In the early spring, turn on your air conditioner and check all of the components like the indoor blower motor, the fan outside, and any other visible elements to ensure they’re working properly. If your unit isn’t working well or happens to break down during your test, a service call in the early spring won’t be as costly as it is during peak times. While you have your unit running guide your hand along the outside to ensure that warm air is coming out the top and cool air is being sucked into the bottom coils. This isn’t a measure of efficiency but a way to ensure it’s working properly and that heat transfer is occurring. Air conditioning maintenance is the best way to keep your air conditioning system working well all summer long. For more information contact us today online or by phone at 02 9559 6108.